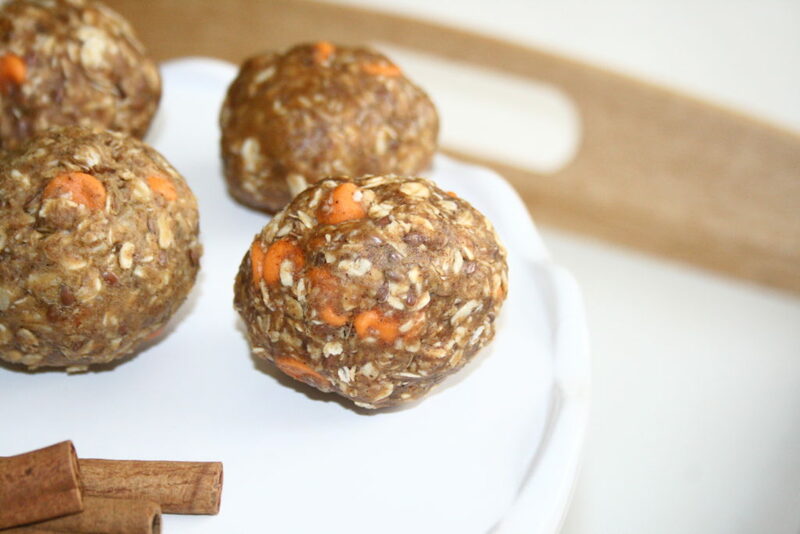 This easy, no bake recipe will be your new favorite pre-workout snack this fall! Growing up as a multi sport athlete, I spent most of my weekends on the field or the court. To keep energized during the long hours of activity, I always resorted to high protein snacks – protein bars to be more specific. They were truly effective in keeping me motivated and moving forward throughout all the physical activity. Paying outrageous prices for the ones that best fit my nutritional wants and needs. 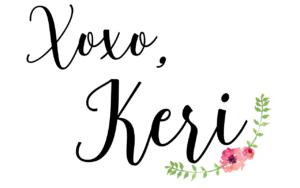 Finding all natural or almost all-natural protein bars without all of the nasty chemicals & additives. Finding sources that actually taste good. So I decided to make my own! And believe me when I say, it was so quick and easy! Plus, you probably already have most of these simple ingredients in your kitchen. 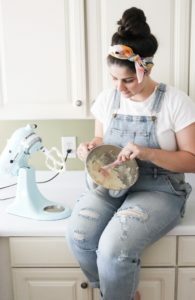 I almost felt guilty snacking on one of these bites because it satisfied my sweet tooth right away! Tastes like dessert and packed with protein – sounds too good to be true, right? 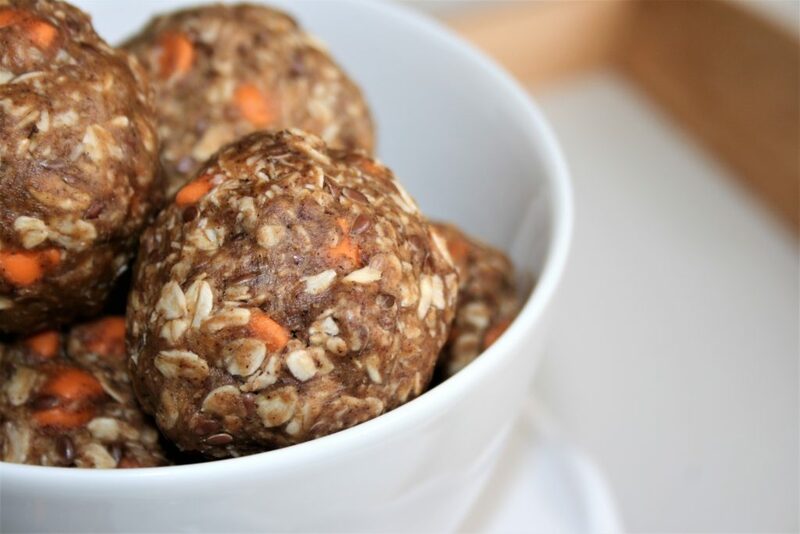 These yummy pumpkin protein bites will keep you fuller for longer to get through your workouts and busy schedules. Not to mention, they are a great source for fiber! My first protein bite flavor of course had to be centered around my favorite fall flavors, because ‘tis the season. I am so obsessed with these and I cannot wait to try more flavors to share with you all! 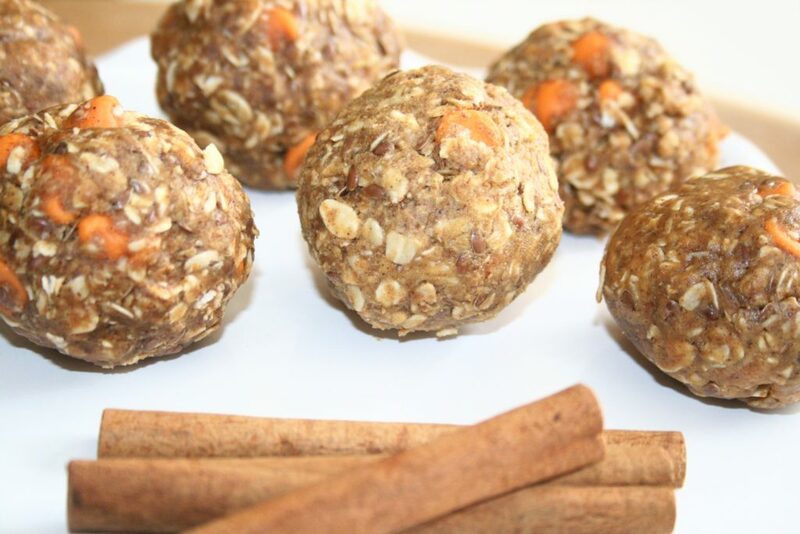 The recipe below yields 10 to 12 large Pumpkin Energy Bites. In a large mixing bowl, add all ingredients. 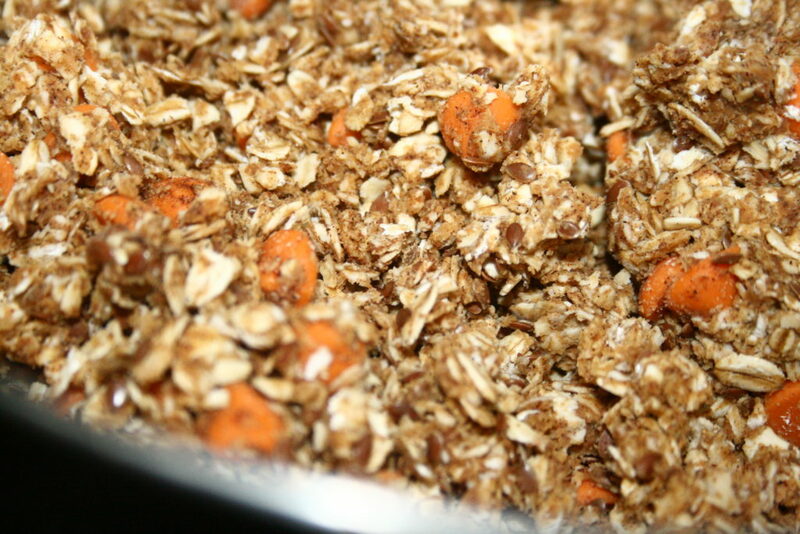 Stir until well combined or use hands to mix and press all ingredients until well combined. Cover and store in refrigerator for 15 minutes. 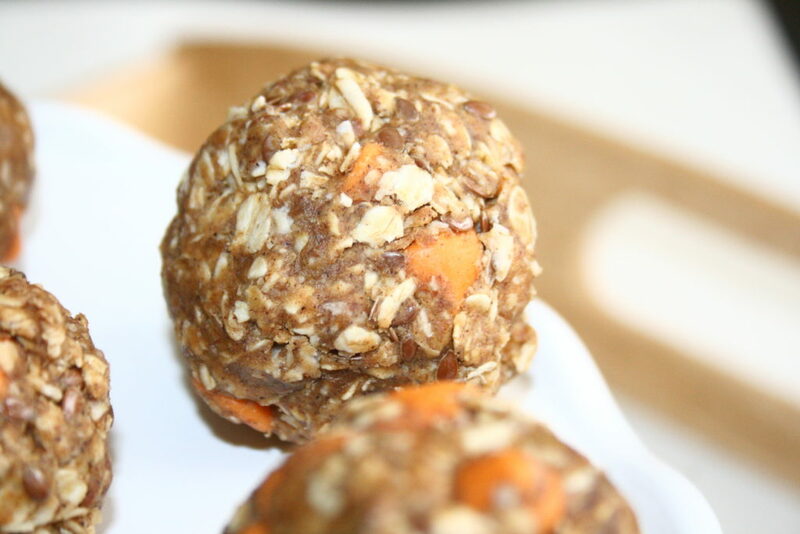 Remove from refrigerator and roll the mixture into 2-inch ball with your hands. 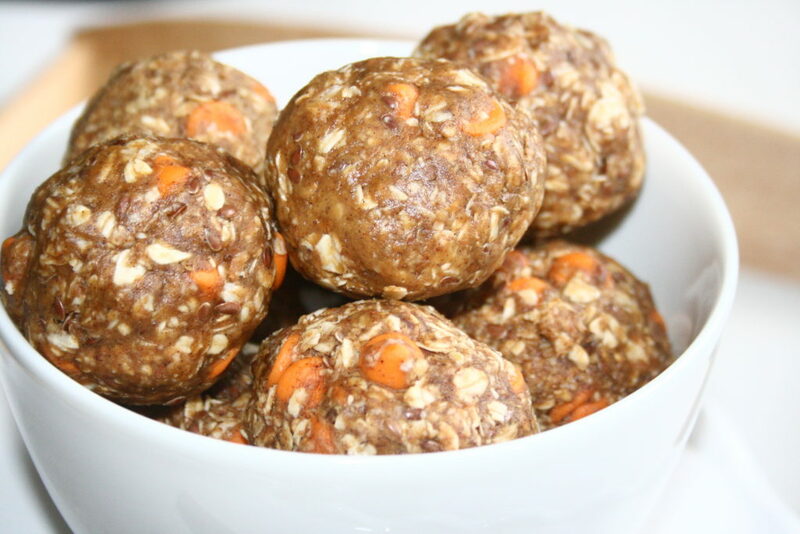 Continue until 10 to 12 protein balls have been made. What protein bite flavors do you want to see next? These look amazeballs LOL! I’d love to see a Christmas flavor next.. This is so helpful coming from a working mom who is always looking for new things to take on the go before and after workouts, and kids snacks. Thank you for introducing me to this idea. I would like to request something with chocolate chips. My kids love anything with chocolate!